We are a leading Manufacturer of appam patra from Vasai, India. We at Prabha Marketingmanufactrues Appam Patra in brand of ARIXY. 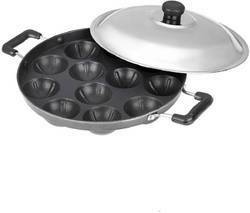 We offers Non-Stick12 Cavity Appam Patra.